For many, dining out is an opportunity to explore new foods and dining environments. It allows one to relax and be fed quality meals without the intensive labor of cooking or worry of cleanup. If you have celiac disease, however, dining out is likely to be more stressful than preparing food at home, as you are unaware of the rate of cross-contamination in the restaurant’s kitchen. 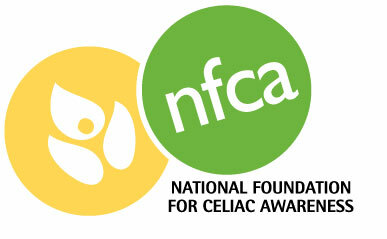 While only a small percentage of Celiac diners will have life-threatening side effects from eating gluten, a majority will still experience digestive discomfort, illness, or other negative impacts from ingesting gluten or food that has been prepared in the same environment that glutenous items are prepared. I recently had the opportunity to attend a five course dinner at Imperial in part with the Gluten Free Chef’s Table Tour, a series of ten dinners organized across the county by the National Foundation for Celiac Awareness (NFCA). We were welcomed by the owner and Head Chef of Imperial, Chef Vitaly Paley, as well as by Graffiti’s Executive Chef, Chef Jehangir Mehta (located in NYC). Together they had put together a phenomenal gluten-free dinner complete with alcohol pairings. Although the lighting wasn’t ideal (restaurant dining rarely is for good reason! 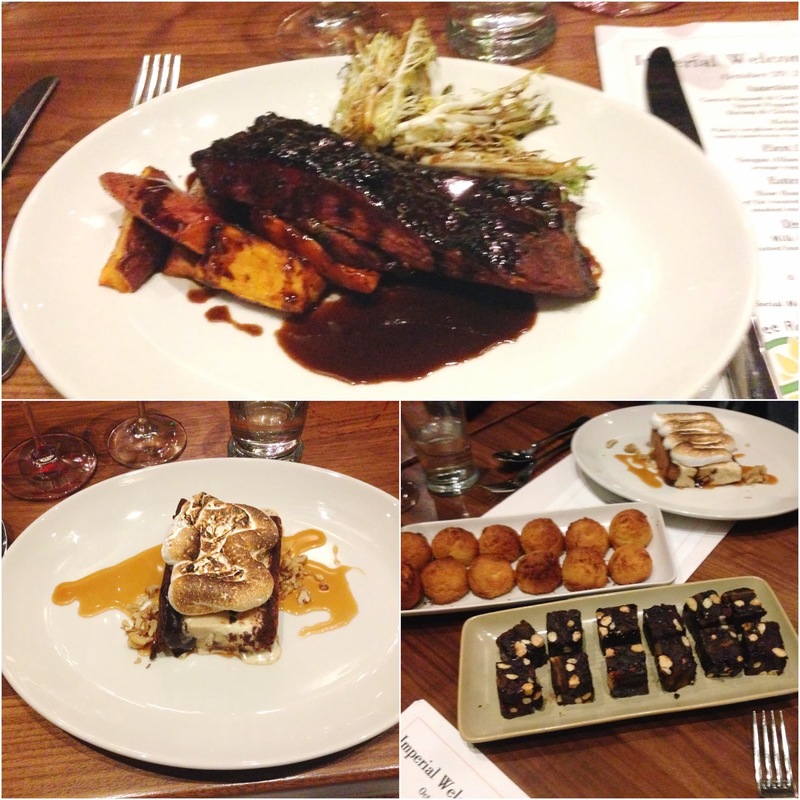 ), I wanted to capture each course as it came to the table. 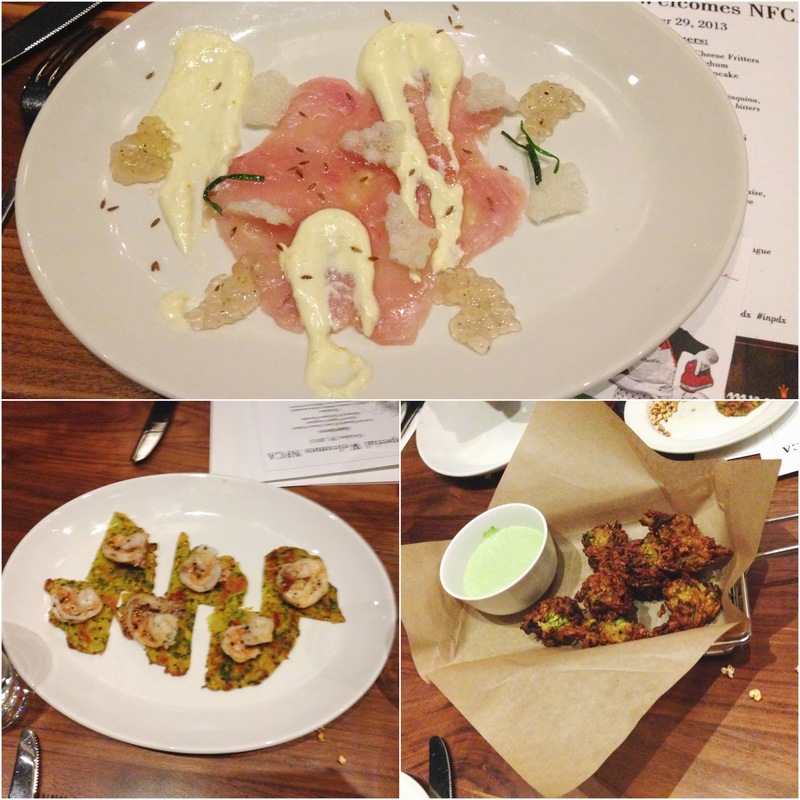 The menu had a great range, and showcased the talents of the chefs involved. Dinner began with curried squash and goat cheese fritters, shrimp and chickpea pancakes, and spiced popped sorghum. 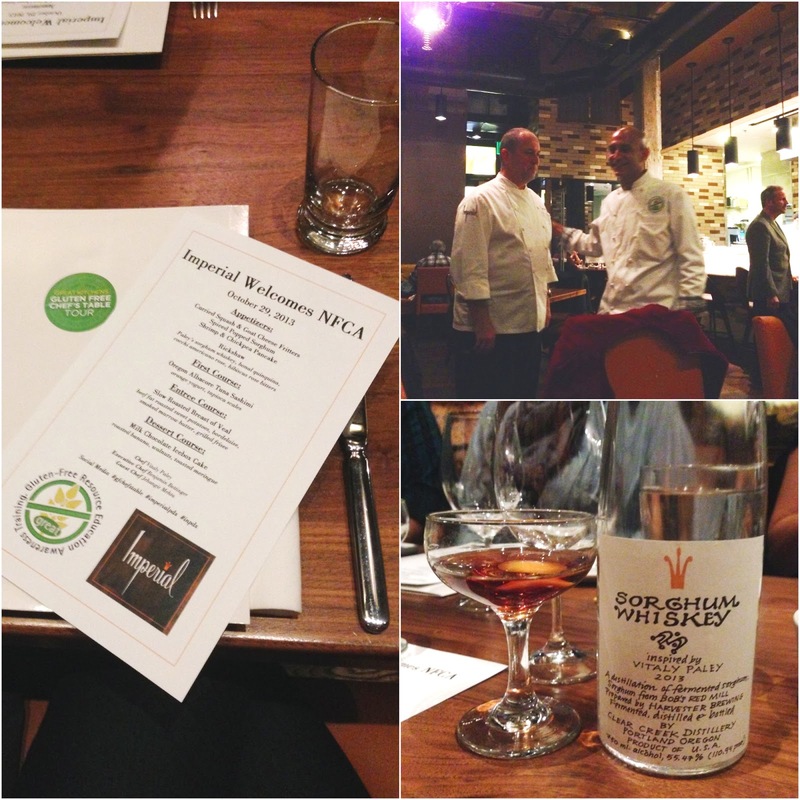 The appetizers were accompanied by a sorghum whiskey inspired by Chef Vitaly Paley and made by Clear Creek Distillery. The sorghum whiskey was a distillation of fermented sorghum from Bob’s Red Mill. It was prepared by Harvester Brewing (a maker of gluten-free ales), then was fermented, distilled, and bottled by Clear Creek Distillery. The whiskey was about 111 proof and smelled slightly citrusy with a round undertone. It was quite smooth. My hopes are that they decide to make this whiskey full-time as it was delicious and would be a great option for those with celiac that seek to enjoy similar distilled spirits. The First course (pictured below) was Oregon Albacore Tuna sashimi served with orange yogurt and tapioca scales. I found this dish especially intriguing as they included the tapioca in two different forms: crispy scales and a softer, almost egg-like. This dish was one of my favorites of the evening for it’s range in textures and flavors. The entree course was a slow roasted breast of veal, and it was served with beef fat roasted sweet potatoes, bordelaise, smoked marrow butter, and grilled frisee. Dessert consisted of a multitude of gluten-free sweets including milk chocolate icebox cake with roasted bananas, walnuts, and a toasted meringue, coconut macaroons, and chocolate nut squares. The icebox cake definitely got my full attention and was, in my opinion, one of the best desserts I have had in a long time. It was rich but not overpowering, and the meringue had a marshmallow fluff look but the consistency was creamy and delicate. Overall, the dinner was educational and memorable. As someone who works to limit her family’s ingestion of gluten on an ongoing basis, I am in full support of the NFCA and the programs and certifications they are creating. As someone who has family that is celiac, I hope that local restaurants like Imperial and Beast get full support from the community and their patrons so that other restaurants may follow in their footsteps.